Fitzys Loganholme features a separate function and convention centre offering some of the best function facilities in Brisbane. 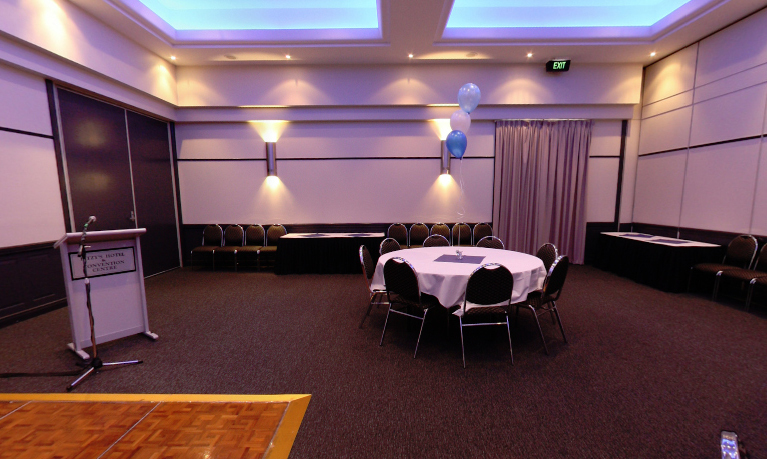 The Sheldon Room is available for all kinds of events, including social function like birthdays as well as full wedding receptions, through to formal conferences and seminars. Catering is provided by the award winning restaurant, and the prices are very competitive. State of the art technology makes the room ideal for corporate functions in Brisbane, from training sessions through to large expos. The venue has all the conference equipment you will require, and there is a dedicated function manager on hand to assist with planning and running all events. If you are looking for wedding reception centres in Brisbane, Fitzys Loganholme offers competitively priced packages set in a modern venue, with other benefits such as a Tuscan Courtyard which can be used for wedding ceremonies, or as a meeting spot for guests. Fitzys has the packages, the facilities and the service to cater for your next event.